You can stop holding your breath, the night we’ve all been waiting for is nearly here. UFC 223 takes place on April 7 at the famous Barclays Center in Brooklyn, New York. The co-main event of the evening is the highly anticipated rematch between Rose Namajunas and Joanna Jedrzejczyk for the UFC Women’s Strawweight Championship. When these women first met in the Octagon just over four months ago, Joanna was understandably the favorite. Having defended the strawweight championship five times previously, Namajunas was just another tough contender getting ready to face the wrath of the boogeywoman. However, Namajunas managed to pull off one of the biggest upsets in UFC history when she knocked out Jedrzejczyk in the very first round. Now, as we get ready for these ladies to put on another show, we have to wonder if Rose Namajunas just happened to get lucky or has she truly worked out how to break down the game of the previously undefeated Jedrzejczyk. 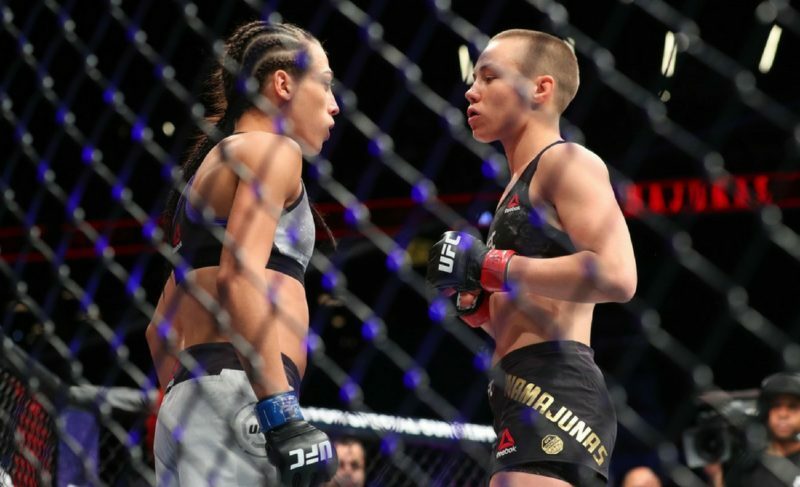 Heading into UFC 217, Rose Namajunas was subjected to what could be the most aggressive trash talk to come out of Joanna’s mouth. Between being labeled “mentally unstable” and having a fist pushed in her face at weigh-ins, anyone could have understood Namajunas breaking from the pressure. However, hindsight is a great thing and looking back, some could say that the only person affected by mental games was Jedrzejczyk herself. Although used to being the aggressor, Joanna had never faced an opponent that hadn’t been shaken before stepping into that cage. 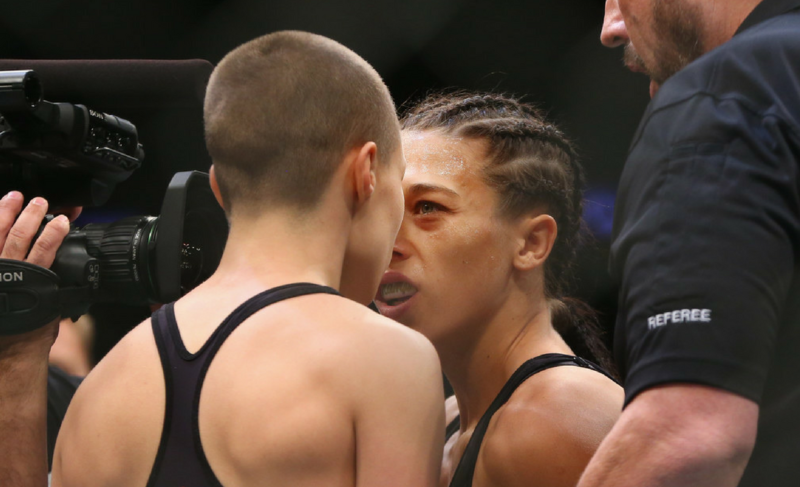 Namajunas’ mental strength and restraint ended up giving her the upper hand before the first bell even rang. 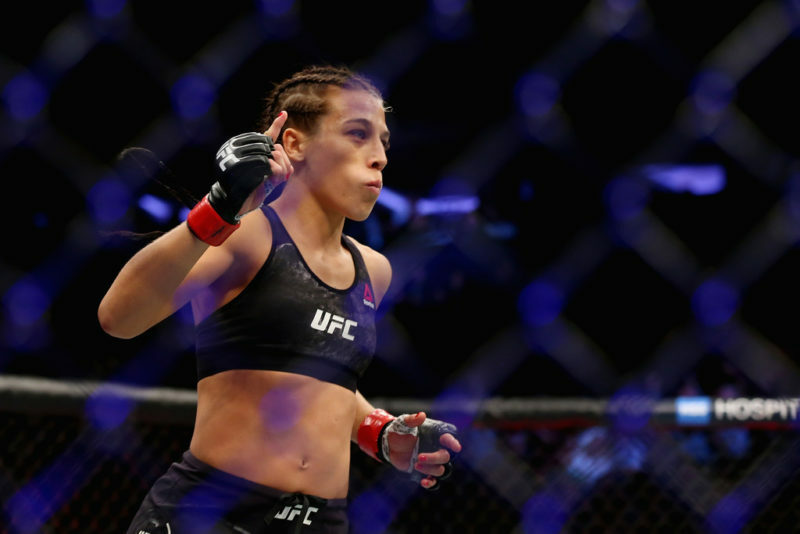 With the whole world expecting her to win, Joanna was also facing a lot more pressure heading into the first bout, being a veteran champion at 30 years of age she had everything to lose, with Rose having everything to gain. Known for her brutal ground game, if Rose had any chance of beating Joanna it would be by rear-naked choke, kimura, or maybe one of her flashy flying armbars. 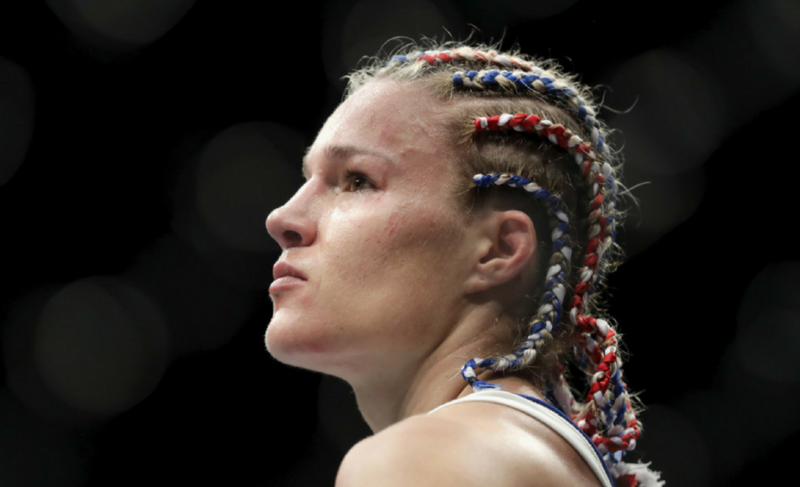 However, not only did she finish Jedrzejczyk for the first time in her career, she beat the Polish-born fighter at her own game. It didn’t take long for everyone watching that night to see Rose running out and taking control of the action – pressuring Joanna, interrupting her movement and causing confusion for the rarely-fazed competitor. Speaking to UFC commentator Joe Rogan on his “JRE MMA Show”, Namajunas is well aware that this rematch is no walk in the park. “You can’t paint the Mona Lisa twice. It has to be something different, but if it ain’t broke, don’t fix it, either. We’ve just got to keep doing what we’re doing but keep getting better obviously all the time,” Namajunas shared. And while this is an apparent game-plan for any rematch, it is important for Namajunas to keep this improvement in mind leading up to UFC 223. 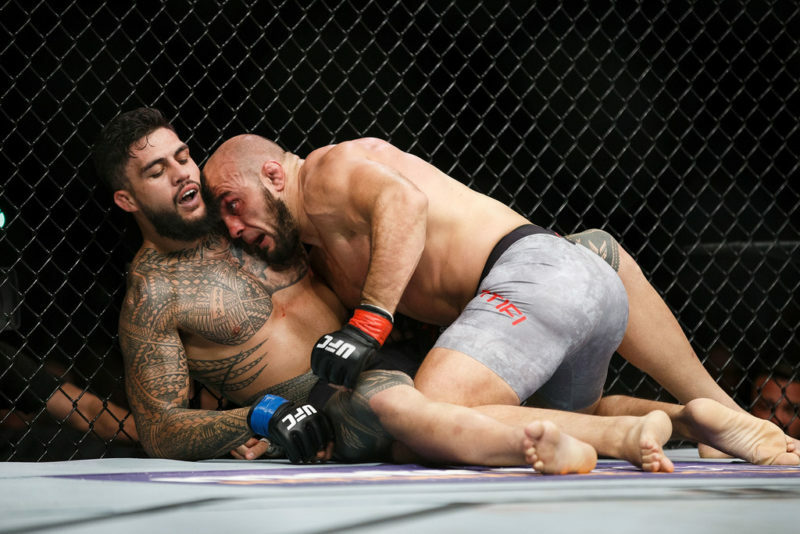 With the last bout ending in just under three minutes, we did not have a huge window of opportunity to work out the intricacies of Namajunas’ victory. However, we can still look into how the champion managed to win her belt. There were three main components to Rose Namajunas’ plan in her first fight with Joanna – aggression, movement, and timing. Although somewhat angelic outside of the cage, once the Octagon door locks, there is no guessing what Namajunas could do. This aggression from Rose was definitely a huge component of her victory last November. Many of Jedrzejczyk’s former opponents came in tentative, ready for a chess match with the expert striker but Namajunas ran in and threw a leg kick to start the action off. 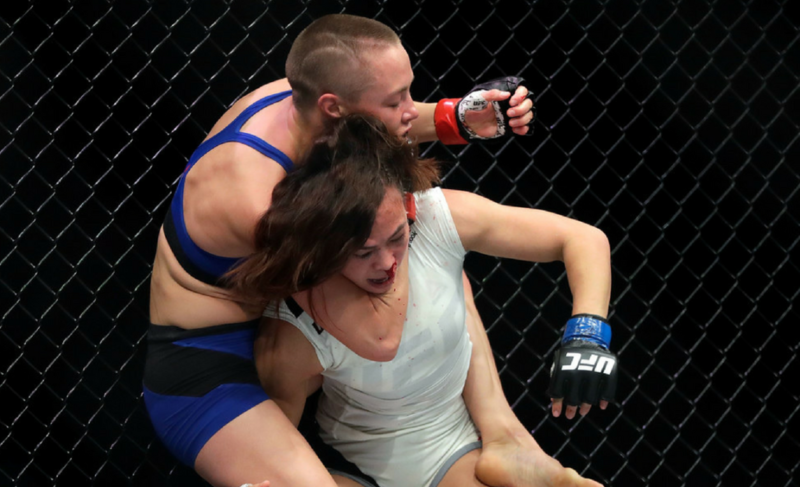 Constantly moving forward, Namajunas gained the upper hand almost immediately against her opponent. Paired with subtle fakes and feints, Rose dodged the signature Joanna jabs and swarmed the former champion until she was backed into a corner with nowhere to go. To top it all off, it was Namajunas’ timing that helped to wrap up the first bout between these two ladies. On the same JRE MMA Show, Rose spoke about how predicting the timing of Joanna’s combinations helped with her victory. This timing is one of the key components to Rose defending her belt, learning the rhythm and avoiding getting overwhelmed by the intensity of Joanna’s combinations. Yes, it’s easy to say that but with the belt on her side, Rose has the advantage heading into the bout and all she can do at this stage is expect the unexpected. 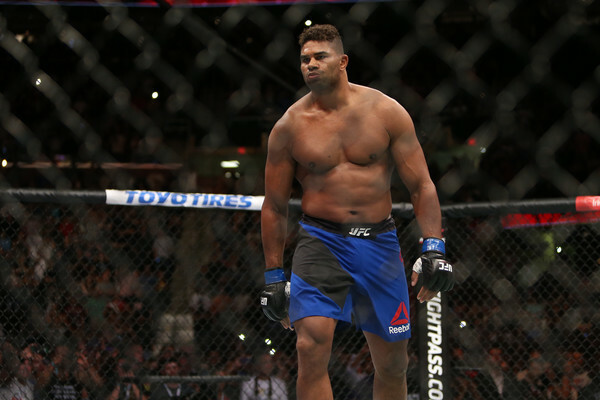 Overall, no matter which way this fight goes, we are certainly in for a treat. With two women at the top of their game, giving it their all, we are going to witness a true champion-level fight. If Rose can hold on to the aspects that helped her get through the first bout, we may just witness the beginning of a new, highly anticipated era at strawweight. With 11 days to go, excitement is rising and the next week will no doubt bring us many more clips and quotes of the boogeywoman and the thug squaring off. However, this is just the preview – make sure to tune in to the co-main event at UFC 223 to witness two of the best female fighters throw down and don’t forget – be nice to one another.